Lavera is a brand I have dipped in and out of over the years. It was one of the first free from skincare ranges that I tried. On the whole ingredients are good but there are some which others may choose to avoid, hence why I refer to the brand as "free from". I have been testing Lavera Body Spa Organic Macadamia Passion Cream Oil Body Wash. It is Vegan, certified organic (Natrue) and 100% free from silicone, paraffin, mineral oil, colorants, and preservatives. This does not contain SLS or SLES but uses the foaming ingredient Sodium Coco-Sulfate. I chose this body wash over the other equally as tempting fragrances because I have a love for macadamia nuts. It comes from spending time in Australia, they are tasty to eat and the oil is good for the skin. I like the fragrance and would go as far as to say it is a divine sugary and sweet scent. The ingredients list parfum but the packaging indicates 100% natural fragrance. This body wash gives soft and gentle foam, not as many bubbles as others I own and I assume that’s because of the oil content. I am happy to report that I have not experienced any irritation and my skin feels soft after using this. I cannot guarantee suitability for all and recommend patch testing if you have sensitive skin. 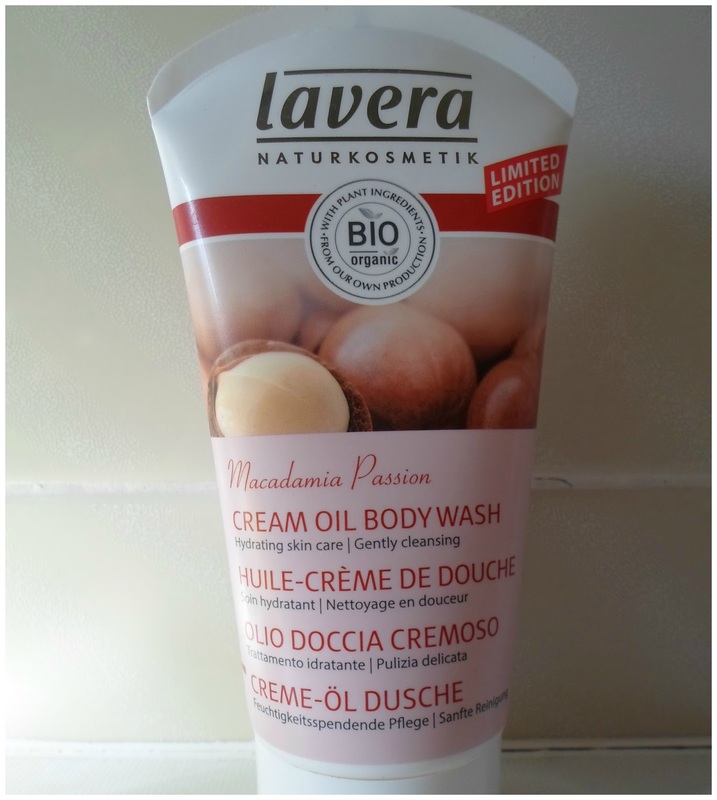 I would describe Lavera as budget friendly and this body wash costs £7.45 for 150ml. If you would like to buy this product or any others from the Lavera range, then visit www.biggreensmile.com. I prefer Melvita to Lavera, but as you say, Lavera is less expensive. Is the scent very strong? I've been having and up & down experience lately with "natural" products. Some were way over fragrant which I found surprising. Always a difficult question because we all smell things differently, it could be considered strong for some people, it's possible from your comment that it wouldn't be to your taste.